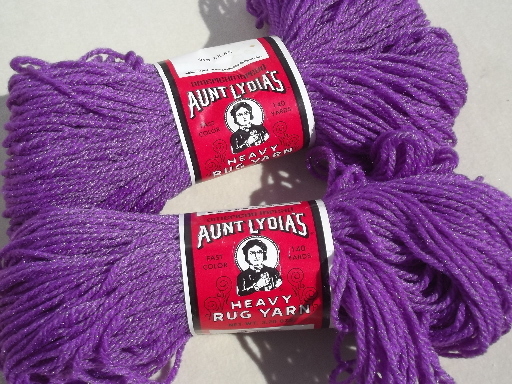 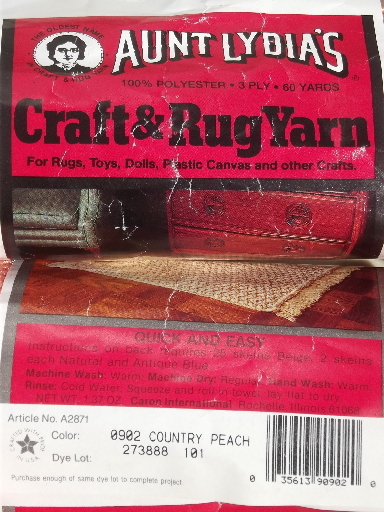 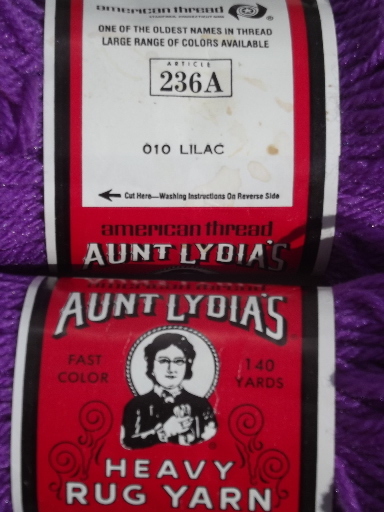 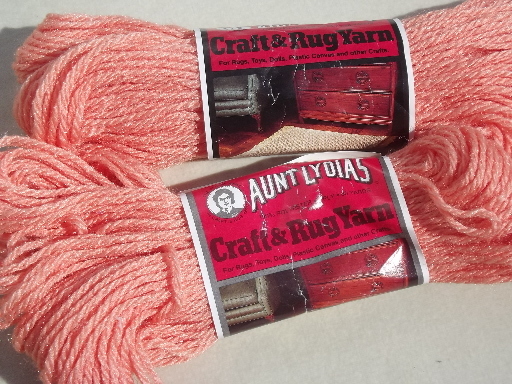 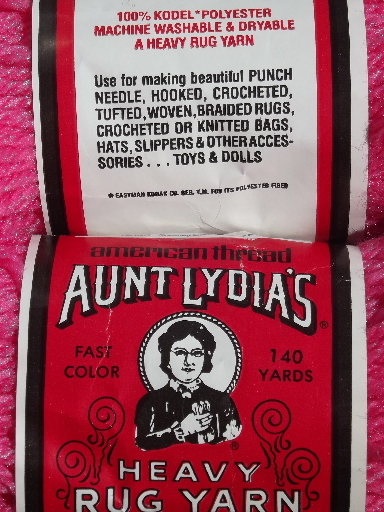 Lot of 70s vintage Aunt Lydia&apos;s heavy rug yarn, all polyester. 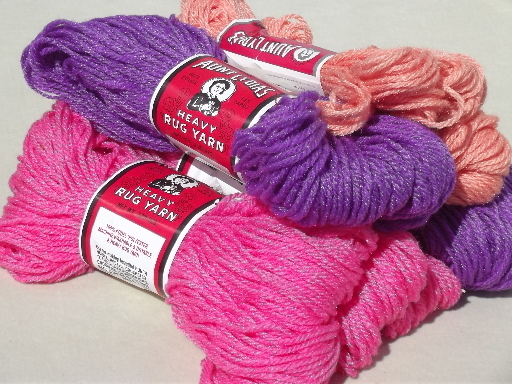 There are two skeins each of purple, shell pink and shocking pink - fun retro colors! 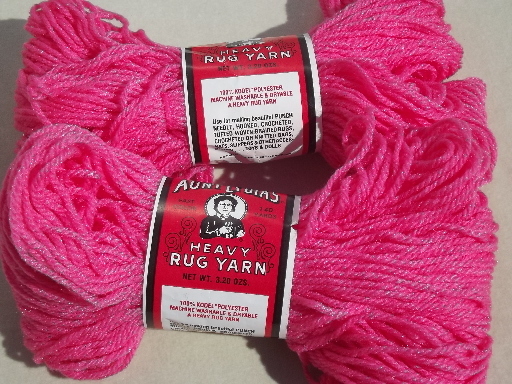 All six skeins are nice and clean, from a non-smoking estate.